You set up your first campaigns on AdWords. You researched all the different options. You avoided the pitfall of AdWords Express and you launch your campaign. You are selling Widgets. The finest Widgets in the industry. You read all the blog posts and know everything there is to know about how to choose the top keywords related to your Widgets. Your ad copy is great, your call to actions are on point, and from all your research you are pretty sure you will place near the top. A month goes by and you aren’t getting as many good leads as you thought you should be getting. You go in and look at your campaigns and everything looks right. You are getting a good number of clicks. People just aren’t buying like you thought they would. Perplexed you click on the little button labeled Search Terms. There are searches for “blue widgets”, “red widgets near me”, “widgets for sale”, etc. Further down the page, you start seeing “cheap widgets”, “how to make your own widgets”, “free widgets”, etc. You have just made an expensive mistake, but an incredibly common one. You didn’t set any negative keywords. There are many others but those are good safe words to block right from the start. The goal is to avoid price shoppers so you don’t spend money on people who are not looking to buy. Some you won’t know until it’s too late. In this case, you should probably add smoking as a negative keyword and maybe consider changing smoke damage to an exact match or more restrictive match type. You probably just fell victim to broad match and now you are paying $5 for someone who wasn’t even looking for your services. Now that you’ve set up some negative keywords and are stopping unwanted clicks from people who aren’t even looking for what your selling. It’s time to go over to campaigns and then demographics. Look at age and gender. If you own a business that primarily caters to women it may be a good idea to narrow and target your advertising to women. Or take a look at how old your average conversion is. Some will be Unknown, but there can be some interesting and useful insights. For instance, if it costs $20 to convert a 34-year-old at 12%, but $12 to convert a 60-year-old at 34% CTR. Armed with this info, you can adjust your bid to increase when dealing with the younger harder to convert demographic. This may not always be a good idea. But, since you know it’s cheaper to convert the 60-year-old you can divert that budget to the harder to convert customer and increase your conversions all around. Or go the opposite direction. Reduce the bid for the harder to convert audience so your ad moves further down the page. That way you are more likely to only get noticed by those who are really interested in your products or services and are actually reading the copy on the search results. You don’t want to pay for people who are just clicking on the top of the page. Where does your customer live? If you are selling in a particular city you need to limit the locations where your ads will show. By default, your ads will try to show to the whole US. This is a costly mistake. You will be amazed how fast you can blow through your daily budget by advertising to the entire country when you only work in a small area. To set this up go to your Campaign and then settings. Then Locations. Enter the location you want to advertise in. Zip code, city, county, state, etc. Don’t forget to save your selection. These are just a few of the options you have to narrow your audience and start attracting more serious buyers. Let us know if you have questions. We’d love to help. AdWords vs AdWords Express – Which should you choose? AdWords vs AdWords Express, Which one do you choose? You have finally decided to try out PPC. You sit down to create your first ads. You google AdWords and are greeted by Google’s friendly sign up page. At some point along your journey, you get asked the question, Sign Up for AdWords or Sign Up for AdWords Express? These two buttons seem innocent at first. But, as you look into what they mean you get more and more confused. By the end of your signup journey, you end up sad, cold, and lonely. Sitting in your basement under a bare bulb writing angry letters and swearing off Digital Marketing of all kinds for life! The problem is that Google made AdWords Express to help people just like you. It’s easy to use, has very few advanced options. It’s just what you need to get up and running in a few easy steps. Then they just left it there. Innocently waiting to help you get up and running in no time. Sitting there waiting to trap you in its web of helpfulness. Because Google made the choice seem so obvious. You don’t know what you’re doing, and after all, you just want to get your name out there and let the leads roll in. SIGN ME UP! Quick note, you are stuck once you choose Express. But I digress. Weeks pass, your ads are doing well but you’d like them to do a bit better. You read about some advanced technique. Maybe you want to try a SKAG (Single Keyword AdGroup) or something simple like negative keywords. You quickly find that it doesn’t work. You are pretty limited in what you can actually do. It’s pretty much a platform that lets you enter keywords, set up some ads, and press go. That’s it. You can’t do much beyond that. You can’t track conversions, set up automation or scripts, you can’t even set up your keywords as anything besides broad match. As you may or not know there are four different match types in AdWords. They all have their place and can be quite useful. To create a SKAG as mentioned before you would need to use at least 3 of them. You won’t be able to with AdWords Express. You need to consider your choices carefully. If you want something simple that is easy to setup and leaves you very few options in the future then AdWords Express is for you. However, if you want to track calls and conversions, implement negative keywords so you aren’t paying for junk clicks or anything more advanced you should definitely stick with regular AdWords. Which account did you choose? How did it turn out and did you wish you had chosen the blue pill? What Is Inbound Marketing Lead Generation? You’ve experienced this before. You sit down to watch a movie or any other night time relaxing activity, and the phone rings. Someone on the other end butchers your name and then starts to lay down the most robotic sales pitch ever to be uttered in the western world. This is the worst. I don’t know who is buying their product, but we know no one is enjoying the experience. Not the telemarketer and certainly not the one being marketed to. Is there a better option? There has to be a way to attract people and more specifically, strangers, to come to your site, store, or wherever else you sell your products and services, without having to be obnoxious and intrusive. Nobody likes their day interrupted by sales calls or bad marketing, but everyone enjoys finding the right product at the right time. Everyone like to solve their problem or have it solved in as simple a process as possible. How do we get from obnoxious to valuable and timely? How do we make our customers seek us? As mentioned before, you want your leads to be warm. You want people to be seeking information. You want to be the one to provide that provides that information and answers those questions. Even if the answer may end with them not needing you for this particular problem. Who will they turn to next time? Will it be the telemarketer or the loud TV commercial interrupting their shows? It could be, the world is not a perfect place, but as the one who provided value and information, you are much more likely to get the sale and develop the relationship that keeps them coming back. So what is lead generation? Well, what is a lead? A lead is someone who has shown interest in your business. Somehow, whether they visited your site, asked you a question on social, or walked into your store and asked, “how much?” they are a lead. Someone who could potentially buy. With inbound marketing, the goal is to get this type of lead. Not just a phone number to call or an email to drop a message to. You want someone who has at least heard your name in a positive light. And interact with your business in some way. It’s the interaction that acts as the invitation for a follow-up. What does inbound lead generation look like? Imaging you fill out a survey about Rug Care (because you really love rugs) and a little while later someone reaches out to you with an ebook on how to care for your rug (that you love enough to take a survey about) and this ebook solves some problem you had with your rug. Now take it a step further. You need a professional service performed on that rug. Who do you call? I’ll bet it’s going to be the company who has provided you with information in the past and solved an issue. You get started by developing buyer personas, creating content using keywords and social media, converting those strangers into leads, and then closing the deal. After you make the sale, the goal should be to convert that customer into a promoter. Delight the customer to the point they want to come back and bring others into the fold. After all, why do all this work just to make a one time sale? That sounds almost as bad as interrupting someone’s dinner to tell them about how much money you could save them on their credit card payments. There are some great articles on Hubspot as well as some great tools. Another resource is inbound.org. If you really want to dig in and learn all you can about inbound marketing these are two solid places to start. Keep watching our blog for more information on the topics mentioned in this post. Buyer personas, content creation, where do you advertise and who do you target (because we want to avoid being spammy and intrusive), and more. If you don’t have tons of time to learn all this but want to put inbound methodologies to work for your business, give us a call or send us a message. We’d love to help you get leads coming in so you need less cold calls going out. What’s the difference and why both are important? You get your website all set up and running. You list your services, products, and all the reasons your potential customers should be using you over your competitors. You launch and wait, no one comes or the ones that do bounce off your page. The problem is probably with your SEO or search engine optimization. You need to let search engines know who you are, what you do, and do it in a way search engines can understand. Things like Metadata, Schema, and backlinks are important and having a good handle on them or hiring someone who knows how to use them is important. You may get lucky and Google will crawl your pages and you will rank well, if you are in a non-competitive niche, however for most of us, that is not going to happen without some work. If you don’t know what AdWords and PPC are, it’s how businesses advertise on Google and other websites on the Google Search Network. You probably see these ads every day and don’t even notice. These ads can show up all over the internet, anywhere the Google Search Network is, and are a great way to target customers and potential leads. AdWords is an amazing tool for reaching your potential customers. 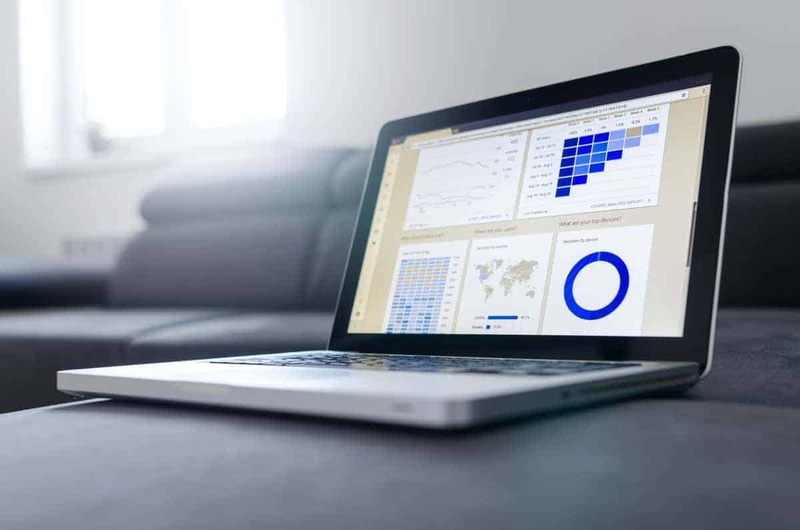 Not only can your ads be customized to fit your needs and business, you can also track conversions and other metrics. 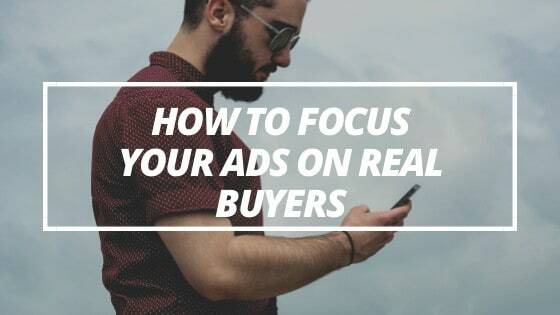 This allows you to get a better picture of not only who is looking at your ads, but also what devices they are using, where they are, and if they are your intended audience. With AdWords, you can tell if your ads targeting people looking for high-end area rugs are actually attracting people looking for carpet cleaning in Tampa Fl. You can also see if you are paying too much or not enough in the bidding process. Maybe your keywords are going to cost too much for what you’re selling? So what’s the difference and why are they both important? Imagine your website is located in a city. Your “store (website)” is new to the neighborhood. No one really knows you, what you do, or if you are even trust worthy. On top of that, you couldn’t afford prime real estate to the point that your store is 20 miles from town with no roads, just a dirt trail leading to your store. As you can see from the situation you would need serious work if you ever hoped to be successful. You need some roads, a reputation, some advertising, etc. Your product is really good, and the dirt road going by your shop is adequate that advertising will get customers in the door. However, as soon as the advertising stops the new customers stop as well. This is the picture of why SEO and AdWords/PPC are both important. AdWords and PPC are like sticking up a billboard in the middle of your “town” and a flier in your potential customers pocket (in a non-creepy way). AdWords will work as long as you can afford it money and is probably going to work well if you invest enough time into learning what you’re doing (or hiring a company like Prairie Giraffe Marketing ;). However, as soon as you stop, the billboards and signs come down and the next person willing to buy those spots get put up. It’s the Pay-to-Play option. It gets people in the door and it does it well, but if AdWords is your only strategy, you will pay forever. SEO, on the other hand, is building roads to your store, larger, faster, smoother than your dirt trail. Gaining trust from those in your “town” and a good reputation (Links and Domain Authority). The more search engines know who you are, what you do, and that you are the best person for their (the search engines) customers needs, you will get traffic and people coming to your store. The best part is once your SEO has been taken care of and is in good shape, you don’t have to pay as much to keep it up. Granted you should always be working on your SEO, but unlike AdWords, you don’t have to pay per click or impression. You start gaining more and more organic traffic. Both are important, but which one should I start with? Get customers to your site using PPC advertising. But, your long-term strategy should include incorporating SEO best practices into your website from the beginning. Start including the right headers, metadata, and schema where applicable. Start getting local citations with websites like Yelp, Angie’s list (if applicable), Google My Business, Apple Maps, etc. Use content marketing and blogging to show your audience and Google what you do and that you know what you’re talking about. Look for opportunities to get links to your business. If you have a business where you are an authority on something and not just selling a product, see if other complementary businesses would be open to guest blogging opportunities. Also if you aren’t already, start blogging on your own business website. Nothing tells search engines and audiences that you know what you are talking about better than talking about it. Start building those roads and authority today for the long term while getting customers to your site with AdWords and PPC. If you need help getting started with any of the concepts we have talked about here, or if they sound great, but you just don’t have the time, feel free to reach out. We would love to help you get started or take it off your hands.